A graduate of the University of Maryland, Baltimore County, Leah Benner majored in English. Between raising her children and making a living, she had little time for writing until she and her husband uprooted and took off in their boat. Their travels led them from Maryland to Florida to the Bahamas and the Turks & Caicos. Leah and her husband now live with their two cats in Key West. If you Google "write what you know," you'll find that no one really knows where the phrase originated, but Leah believes it is sound advice. The Kate Brown series of tween books are set in Florida and the Bahamas. The main character, Kate, is a tall-for-her-age, slightly akward teenager who likes to write poetry and so was Leah. Leah went to music camp, Kate goes to poetry camp. Leah doesn't know yet where Kate's next adventure will take her, but she is anxious to find out as she starts to write the third in her Kate Brown series. Writing is best when scenes are popping into my head while brushing my teeth or driving to work. When this happens I can’t wait to sit down and find the words to tell the story. I also enjoy rewriting. I print out what I’ve written and read it out loud. This is a great way to ensure that my words and ideas flow effortlessly. What's the favorite compliment or accolade you've received for your writing? 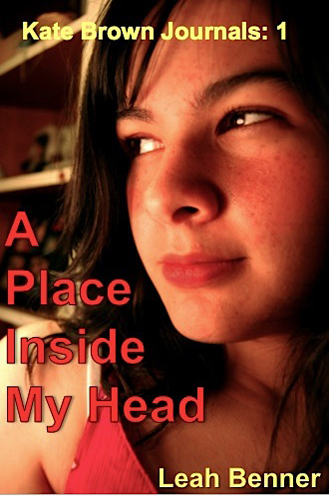 The first teen to read A Place Inside My Head loved the book and said she couldn’t wait to read the next one. What if you did something so bad you couldn’t bear to think about it? That’s what Kate Brown did and instead of listening to the guilty voices inside her head, she day-dreamed—not just a little bit. A lot. So much she almost failed sixth grade. So much everyone at school thought she was weird, even Natalie, her best friend since the first day of first grade. It wasn’t until her English teacher encouraged Kate to write a journal and poetry that Kate began to deal with her buried feelings. Would Kate ever be able to forgive herself and once the truth came out, would her parents forgive her?